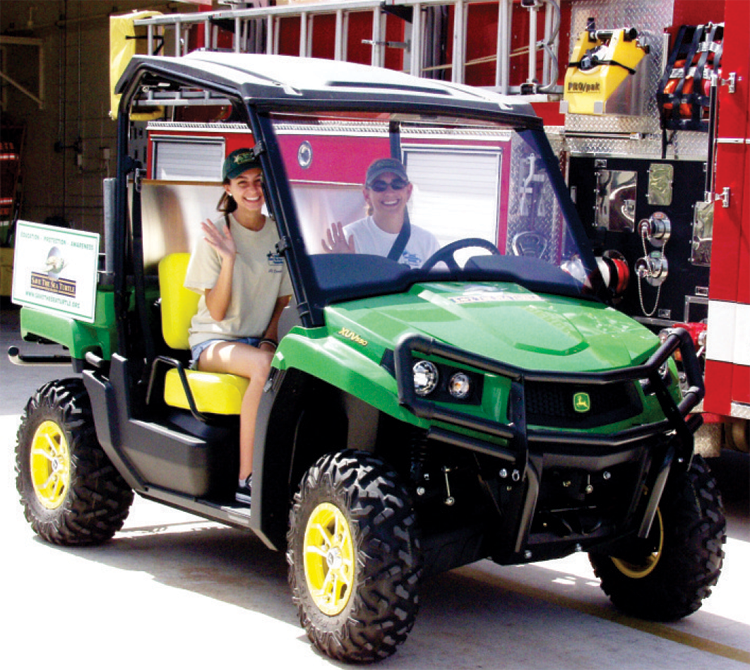 The National Save the Sea Turtle Foundation has purchased a John Deere Gator and it has finally arrived. The Gator was delivered on June 10, 2013. The Gator will be used for the Foundation's Adopt-A-Nest program. For this program, the adoptee receives a picture of a nest marked with their name, a certificate of adoption, and information regarding their nest. Previously, Connie Versteeg – a Marine Biologist for the foundation, had to walk up and down the beach in order to get to the nests. Now, the Gator will make this task much quicker and easier. During the nesting season, the Gator will be housed at the Lauderdale-by-the-Sea Fire Department, who have been extremely generous in allowing some space for the Gator. 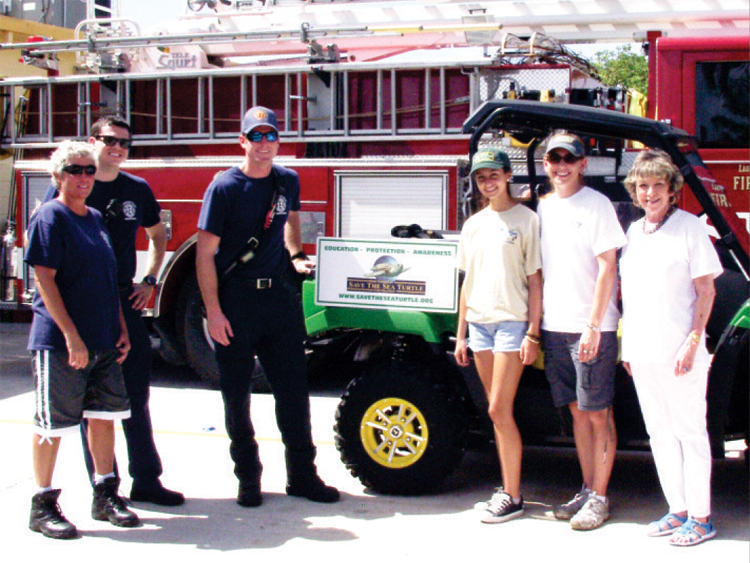 Left to Right: Lauderdale-by-the-Sea Fire Department members, M. Patterson, Edward Cassidy, Adam Renneisen, and NSTSTF’s Jessie Fernandez, Marine Biologist Connie Versteeg and Eileen Nesdale. Left to Right: Leaving for the beach in the Gator, NSTSTF’s Jessie Fernandez and Marine Biologist Connie Versteeg.